Mobile device usage is on the rise. According to a study published by the Pew Research Center in 2015, nearly 75% of American teens have access to smartphones. As such, parents of teenage drivers have cause for concern - especially since the statistics on distracted driving and teenage driving fatalities are not very reassuring. Don't forget to learnwho can be in the car with a permit drvier. Most driving accidents are preventable, and parents play a significant role in shaping their teenagers’ driving behavior. Parents need to make sure they warn their teens about the dangers of texting and driving. Driver’s education must be a continuous dialogue between you and your child until they have adopted a deeply-ingrained safe driving attitude. Put the phone in silent mode or in the glove compartment while driving. Replying to text messages can wait until after they have reached their destination. 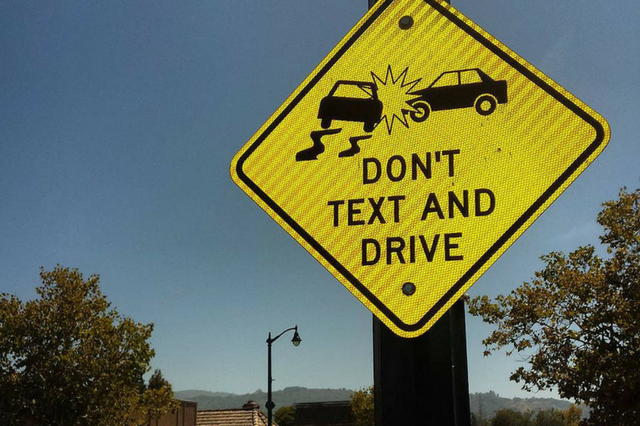 Should they need to call or text, remind them to never do so at a stoplight. Instruct them to pull over instead. If they are the type to have trouble resisting the urge to swipe and scroll, advise them to put the phone in the backseat or in their backpack while they drive, where it is extra difficult for them to get to it when it rings or alerts them of a social media update. If push comes to shove, limit, or temporarily revoke, their texting privileges so they don’t text and drive. It could save them from a dangerous car crash. Distracted driving apps are available to keep your teen’s attention on the road and their hands on the wheel. Functionalities these apps provide include blocking the ability to use a phone while driving, automatically sending a call to voicemail, alerting parents of their teens’ driving behavior, and setting rewards for safe driving, among others. Teenagers mimic what they see and do not always follow what they are told to do. If you text and drive, what is to prevent them from adopting a risky “If my parent texts while drives, but manages to get out of the road unscathed, then I can do it too” mindset? If you drive safely, your teen driver is more likely to do the same. We know that the YOLO mentality is strong among teens. But like we always say, no text or status update is ever worth risking that one life your teen has for a momentary "LOL." At WSDI, a Littleton driver’s ed institution, our instructors are all active or retired police officers and have experienced the drastic (and often fatal) consequences of texting and driving. If you need help making your teenage driver understand why they should stay off their phones when behind the wheel, call us today so we can discuss how we may assist you. Click here to learn who can be in the car with a permit driver.